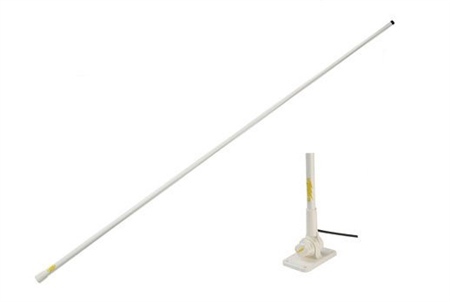 The Capri is a 3dB gain VHF antenna 1.4m / 4,5’ length designed for Powerboats and Work Boats. It’s lightweight and very easy to be installed everywhere thanks to the white integrated ratchet mount. With brass and copper elements protected by a strong white fibreglass tube and integrated 6m (20’) RG58C/U coax cable, it’s the best value for money.